Move over Claussen & Vlasic, locals are joining the pickling game! 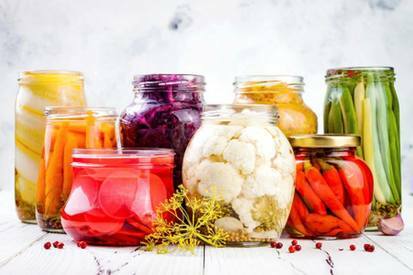 Home pickling is back in practice and your grandma's not the only one with the skills. What was once necessary to preserve produce became less prevalent with the rise of refrigeration and, to be quite honest, rampant food waste. Thanks to home chefs experimenting in the kitchen, the DIY craze (Mason jars actually have a purpose other than holding cocktails, y'all), and the push to eat seasonally and locally, pickling and fermentation have found new life, and not just to preserve, but to add flavor and nutrition.